Finding time to unwind and relax is vital for your health. Mind over matter isn’t just a phrase, making time to for ‘me’ has been proven to help you de-stress, and stress, after all, is the mother of all evil. Not to scare you too much, but stress can cause breakouts, weight loss and gain, hair loss, anxiety and even more. 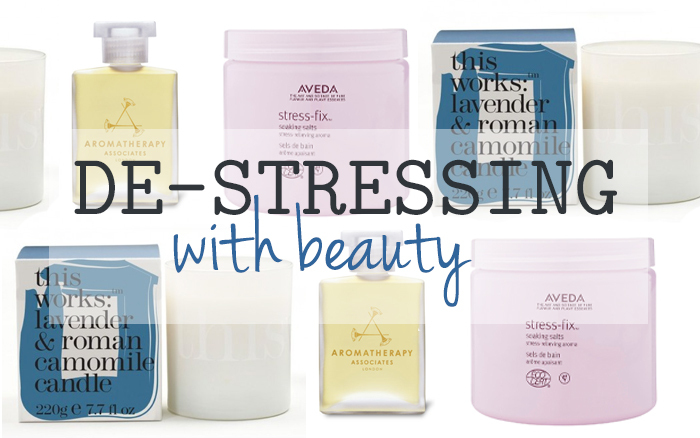 Whilst there is no beauty cure for stress and anxiety, and we recommend that anyone who is worried about it speaks to an expert, there are a few products out there that help to promote stress-relief and relaxation. From bath salts to body oils, we’ve tried a whole host of beauty treats to bring you our tried and tested for the best de-stressing ‘Me Time’ possible. 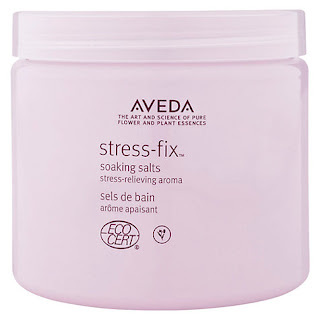 These gorgeous smelling soaking salts from Aveda are simply blissful to use. With notes of lavender and clary sage, the mineral rich formula helps to relax your mind as well as your muscles. This was a great product to use in a comforting bath to help you unwind before bed. A bath before bed is actual a really good way to help you de-stress, especially if you’ve got a lot on your mind or you’re having trouble sleeping. 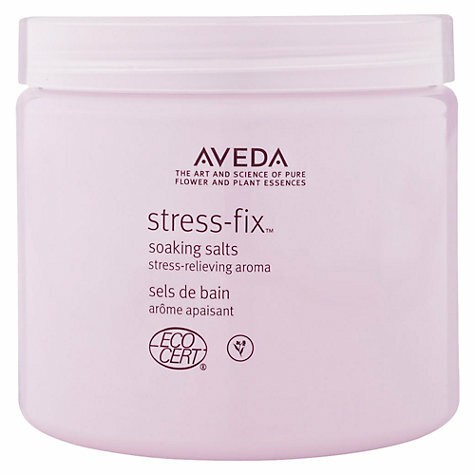 Aveda stress-fix soaking salts really are a dreamy product, they leave your skin feeling soft and your mind calmed. Filling the air with gentle aromas and opting for soft lighting like candles is an ideal way to bring calm to your surroundings. 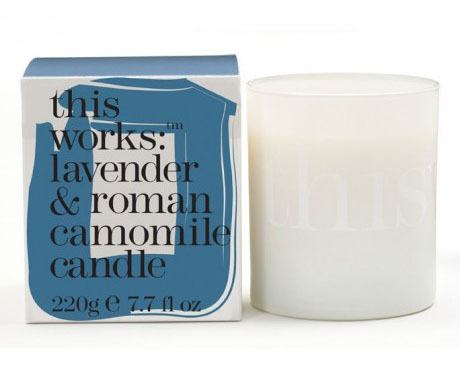 This Works Lavender and Roman Camomile candle helps to turn your room into a haven for relaxation. Blended with pure essential oils, this works candles are long burning and luxurious. Enjoy the subtle mood lighting and the uplifting fragrance whilst getting ready for bed or reading a book (put down the phone or iPad). The action of massage helps to relieve tension and stress in your body. Believe it or not, but the well-being of your body is reflected in your mood and vice versa. Stressed people tend to hunch up and hold tension in their shoulders and necks, this can leader to head aches and general pains. Using a body oil, and massaging it into tired muscles, can really help to offer you some gentle relief. Give yourself the time, sit down and apply. Little changes like this in your beauty regime can help you to slow down, relax and in turn de-stress. 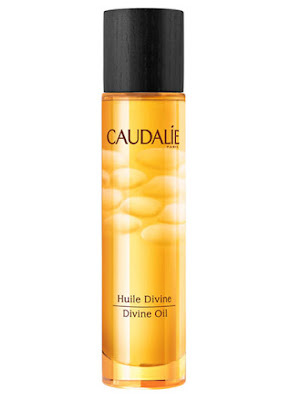 We love Caudalie’s Divine Oil. 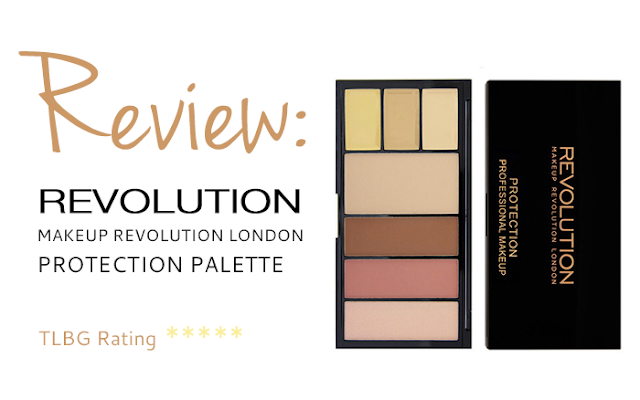 It’s a product that can be applied anywhere on your face, body or hair. It helps to nourish the skin with its luxurious ingredient list and it’s woody, floral scent mean it’s a wonderfully warm fragrance. Perfect for ‘Me Time’. We’ve already touched on the wonders of bed time bathing, but with Aromatherapy Associates bath & shower oils you can choose to take that indulgence with you into shower too. 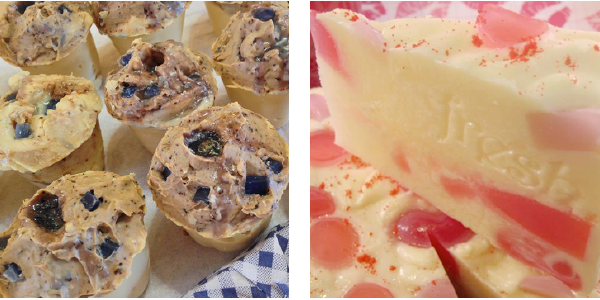 Their beautifully picked scents are created using a variety of carefully selected essential oils (they also come in gorgeous glass bottles which makes the entire experience even better in our opinion). 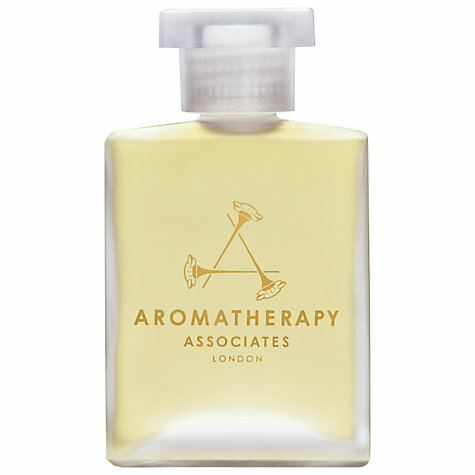 We love their De-Stress Mind Oil as it doesn’t make you sleepy, You simply rub the oil into your skin before you shower and enjoy the energising aromas of rosemary, camomile and rosewood. You’ll be left with supple, soft skin, and a fresh mind ready to tackle the day ahead. 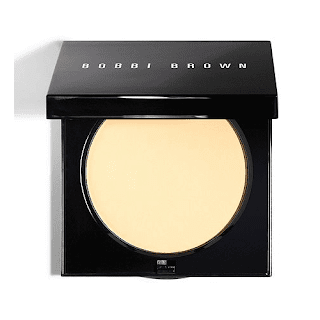 This Works are quite the experts when it comes to sleep promoting beauty products, and it’s unsurprising they’ve been winning awards for their ever-growing range. The infamous Deep Sleep Pillow Spray pops up a lot in travel lists and night time routines – and there’s a very good reason for this. This natural sleeping aid calms your nerves and helps you sleep. They even claim that 92% of users (based on their trials) felt ‘more refreshed’ in the morning after spritzing it on their pillows before bed. The signature fragrance contains a mixture of lavender and camomile and when inhaled help to promote deeper sleep and mind relaxation. After all, a good nights sleep is second to nothing for a healthier happier mind.